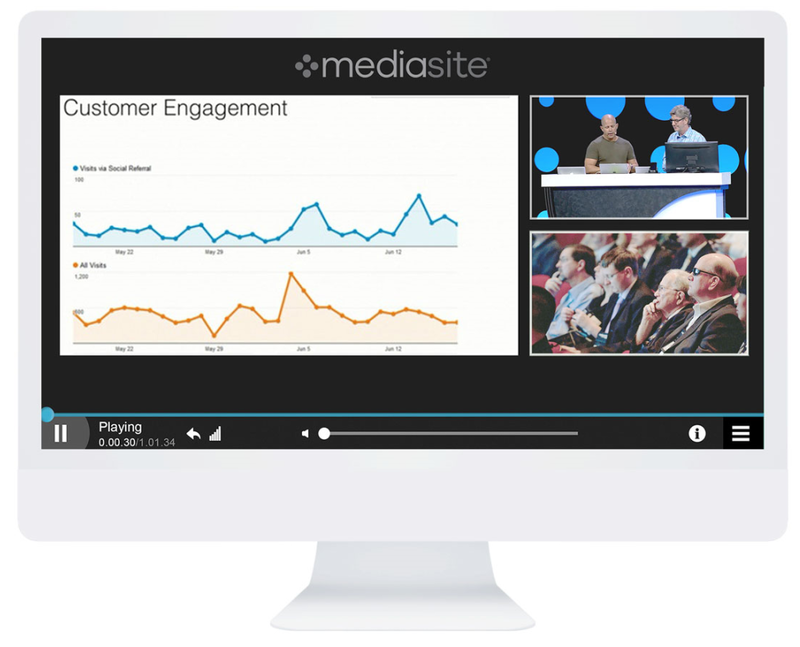 Keep up to date with the latest company news and attend our webcasts. 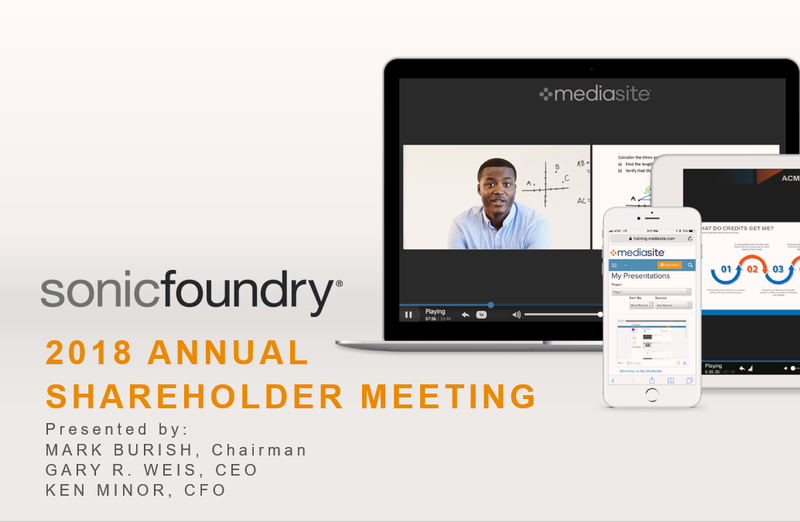 We’ll let you know about upcoming calls, webcasts, and earning reports. Nelson Murphy has been a Director since November 2017. Since January 2015, Mr. Murphy has been the Executive VP, Finance & Operations for Catawba College, a private liberal arts college. From August 2013 to June 2015 Mr. Murphy was VP, International Finance at Syniverse Technologies, Inc. in Luxembourg, a provider of mobile technologies, and from October 2010 to August 2013 served as VP – Finance, Defensive Systems Division at Northrop Grumman Corporation, a global security company. Previously, Mr. Murphy served in various senior finance roles at AT&T including responsibility for finance in operations located in Europe, the Middle East and Latin America. Mr. Murphy has a B.S. in Accounting from Wake Forest University. Gary R. Weis has been Sonic Foundry’s Chief Executive Officer since April 2011. 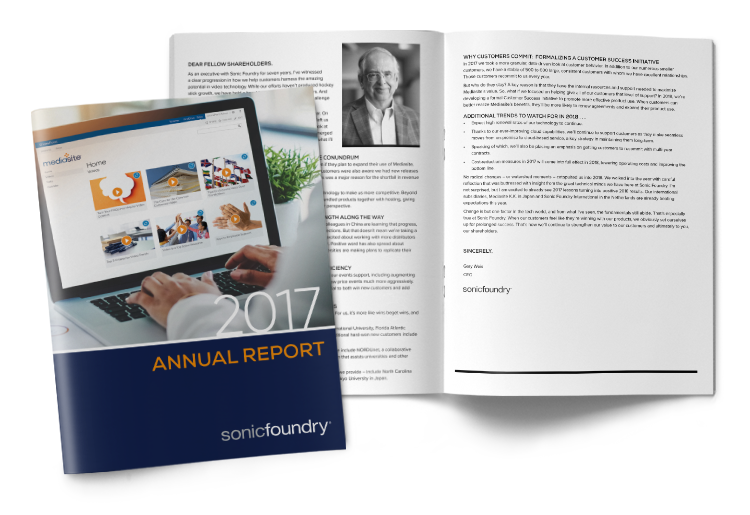 He has been a member of Sonic Foundry’s Board of Directors since February 2004 and was President, Chief Executive Officer and a Director of Cometa Networks from March 2003 to April 2004. From May 1999 to February 2003 he was Senior Vice President of Global Services at AT&T where he was responsible for one of the world’s largest data and IP networks, serving more than 30,000 businesses and providing Internet access to more than one million individuals worldwide. While at AT&T, Weis also was CEO of Concert, a joint venture between AT&T and British Telecom. Previously, from January 1995 to May 1999 he was General Manager of IBM Global Services, Network Services. Mr. Weis served as a Director from March 2001 to February 2003 of AT&T Latin America, a facilities-based provider of telecom services in Brazil, Argentina, Chile, Peru and Columbia. Mr. Weis earned BS and MS degrees in Applied Mathematics and Computer Science at the University of Illinois, Chicago. David Slayton has been a Director since November 2017. Since April 2013, Mr. Slayton has been the Chief Financial Officer of Ovative Group, a digital media agency and analytics firm. From July 2008 to March 2013, Mr. Slayton was co-founder, Executive Vice President – CFO and a member of the board of Alice.com, an e-commerce retail marketplace. Prior to his service at Alice.com, Mr. Slayton served in senior financial management roles at numerous companies including as Chief Financial Officer at Shavlik Technologies from June 2005 to July 2008, Managing Director and co-founder at Haviland Partners Inc. from August 2003 to February 2005 and as Chief Financial of NameProtect Inc. from July 2000 to July 2003. Mr. Slayton earned a BS in Economics from the Massachusetts Institute of Technology (June 1991) and an MBA in Business Administration from Harvard University (June 1996). Frederick H. Kopko has been Sonic Foundry’s Secretary from April 1997 to February 2001 and has been a Director since December 1995. Mr. Kopko is a partner of the law firm of McBreen & Kopko, Chicago, Illinois, and has been a partner of that firm since January 1990. Mr. Kopko practices in the area of corporate law. He has been a Director of Butler International, Inc. since 1985 and a Director of Mercury Air Group, Inc. since 1992. Mr. Kopko received a B.A. degree in Economics from the University of Connecticut, a J.D. degree from the University of Notre Dame Law School and an M.B.A. degree from the University of Chicago. Brian Wiegand has been a Director since July 2012. A serial entrepreneur, he has successfully founded and sold several internet-based companies. He is currently the co-founder and chair of the board of Alice.com, an online retail platform that connects manufacturers and consumers in the consumer packaged goods market. Prior to Alice.com, Mr. Wiegand co-founded Jellyfish.com, a shopping search engine, in June of 2006. He served as CEO until October 2007 when the company was sold to Microsoft. Mr. Wiegand continued with Microsoft as the General Manager of Social Commerce until May 2008. He also co-founded NameProtect, a trademark research and digital brand protection services company in August 1997 which was sold to Corporation Services Company in March 2007. In addition, Mr. Wiegand founded BizFilings in 1996, the Internet’s leading incorporation Services Company. He served as the president and CEO until 2002 when the company was acquired by Wolters Kluwer.